SGX Day Traders: 2014 May 09-- SGX Day Traders catch the falling knife with steel gloves. Just a live sharing with Live trading webinar members. Not an inducement to trade. 2014 May 09-- SGX Day Traders catch the falling knife with steel gloves. 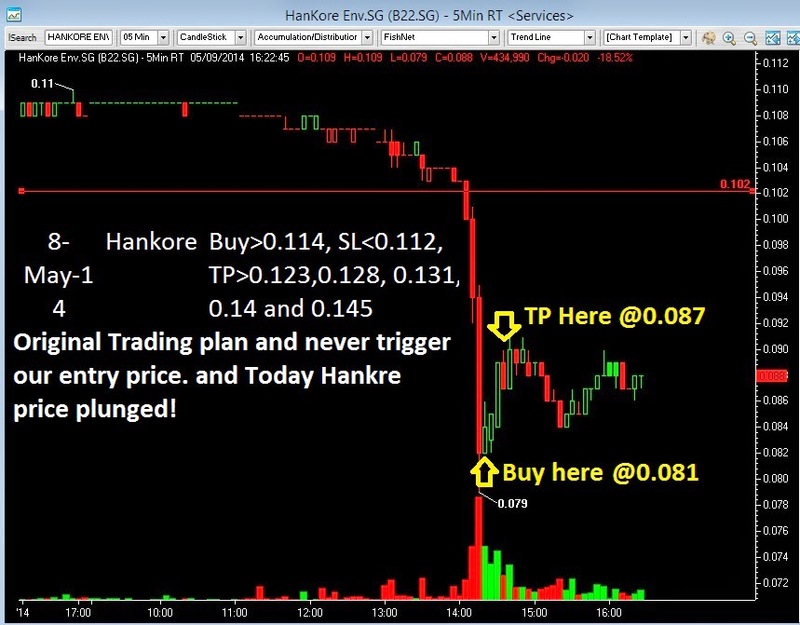 Just a live sharing with Live trading webinar members. Not an inducement to trade. 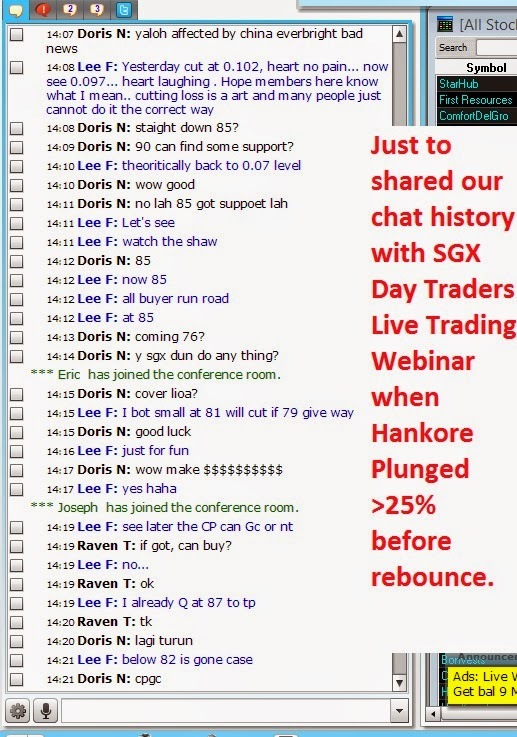 Just to shared our chat history with SGX Day Traders Live Trading Webinar when Hankore Plunged >25% before rebounce. and our Veteran Trader wear the steel glove to catch the falling Knife at 0.081 and sold at 0.087. The trading time is <25 minutes.